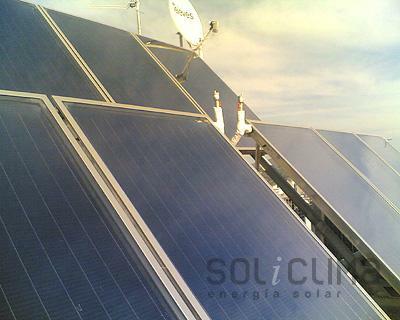 Solar energy in Fresno, California The orientation of the panels. Though the use of solar energy hot water can be produced for free. See our installations in Fresno, California. Solar energy in Dover, Delaware The overproduction of hot water that takes place during the hottest months of the year, can be used to heat an outdoor swimming pool. The orientation of the panels. The orientation of a home is critical in using the energy of the sun. Until less than a century ago, when it began the widespread construction of apartment buildings, rural families in the northern hemisphere were well aware of this and always placed the main facade of the house towards the south. Those who could afford them, put arches. The reason is that, if the main areas of the house face the south, they are exposed to solar radiation throughout the year and the rooms are less cold. In the summer, they avoid the direct sun and the heat is not overwhelming, while in winter, when it´s most needed, they allow the sunlight through. Many architects are starting to pick up such practices. 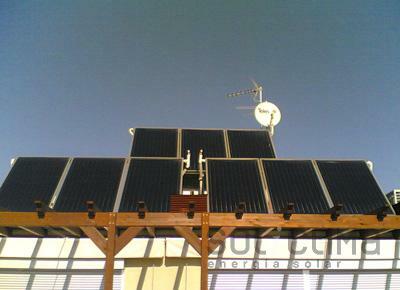 The panels should also be directed towards the south to maximize the solar radiation. In cases where the roofs are not facing towards the south, mechanisms can often be installed, to redirect the panels, but, sometimes, they sickt out a lot above the roof and some owners want to avoid this solution for aesthetic reasons. In these cases, vacuum tube panels can be installed, which are more expensive, but they provide the necessary heat, even on roofs where the orientation is not favorable.